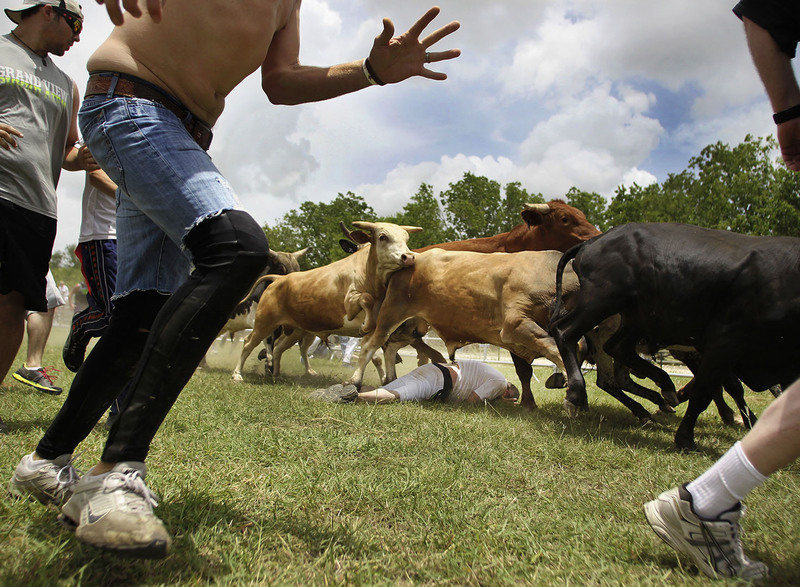 Bulls jump over a man who fell during the Texas Bull Run on Saturday, June 21, 2014, at Cool River Ranch in Martindale, Texas. The man was later evaluated at the scene by EMTs but was not injured. Participants had been advised before each run to stay on the ground if they fell because the bulls were likely to jump over them.